Even George Jetson looks like a Luddite compared to the transportation utopia Uber envisions. Sure, Jetson had a flying car, but he still piloted it with a joystick. In a 98-page report released Thursday, Uber described the potential of autonomous flying cars to free frustrated commuters from the wretchedness of clogged highways. Uber believes that within a decade it will be possible to build a network of affordable, electric flying cars that take off and land vertically at speeds of up to 200 mph. Uber doesn't plan to build its own flying cars, but wants to collaborate with companies, governments and communities to push the nascent field forward. The paper is reminiscent of when Tesla (TSLA) CEO Elon Musk released a 57-page plan in 2013 for a Hyperloop, a futuristic, high-speed train that he did not intend to develop. Uber's report is the latest example of mounting hype surrounding tech's impact on transportation, ranging from autonomous taxis to flying cars and self-driving trucks. While promising, experts say we need to be patient. "It's great to have these ideas, it forces everyone to start thinking differently," said Ali Bahrami, the vice president for civil aviation at the Aerospace Industries Association. "Eventually we'll get to that stage, much like what we saw in cartoons. The reality is it won't be as quick or optimistic as the paper seems to imply." 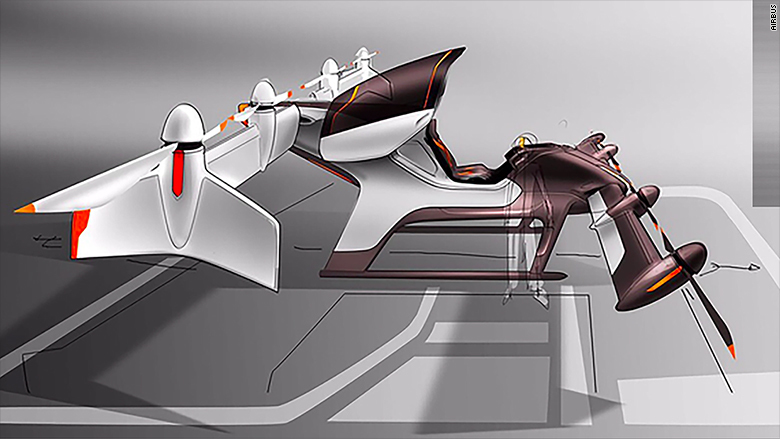 Flying cars face numerous obstacles, including cost, regulations and public acceptance. 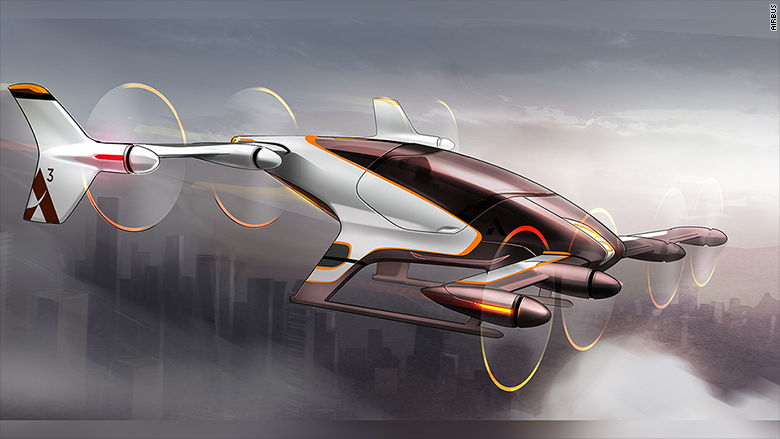 Uber paints an optimistic picture, suggesting that flying cars will be similar in cost to its UberX service. Others expect flying cars, often referred to as VTOL, as in vertical takeoff and landing, to be far more costly. "In the short term, the technology will be exotic and expensive," said Brandon Keene, the chief technology officer of Blade, a startup offering on-demand helicopter rides that has researched VTOL. Bahrami believes the flights will likely have to be autonomous to be affordable. It's expensive to train and pay a human to be a pilot. Uber expects flying cars will initially have human pilots, until the autonomous technology is proven to be safer than humans. It's also unclear where the flying cars will land, and if the "vertiports" will be convenient. Uber mentions that parking garage roofs, existing helipads and open land at highway interchanges could be used. After landing, some commuters might need to hail an Uber to complete the last leg of their journey. It also remains to be seen if the public will tolerate the noise of flying cars. The smallest drones can sound like a beehive. Uber believes VTOLs will be half as loud as a medium-sized truck passing a home. "If you got a whole bunch of them making that noise, that could be problematic," Bahrami said. For Jason Orr, an attorney at O'Melveny & Myers, the biggest obstacle to flying cars will be regulations. Local, state and federal regulators will need to coordinate management of the flying cars, a complicated, lengthy process. The FAA has already taken a cautious approach with small drones. It is sure to be even more careful when heavier flying cars are carrying human beings. Uber raised the topic of flying cars just days after it announced that one of the self-driving trucks it owns completed a delivery of 50,000 Budweiser cans. The company released a remarkable video of a Budweiser truck cruising down a highway with an empty driver's seat. The footage made the rounds on news sites and social media feeds. While remarkable, it was a case of technology presented in the very best light. In truth, Uber's self-driving truck completed the trip in the dead of night, when traffic would be light. The truck wasn't driving directly behind Colorado drivers, but was tucked in a convoy of seven vehicles that closely watched it. Officials were prepared to abort the test at any moment. It's possible that within 10 years self-driving trucks will still be quite limited. 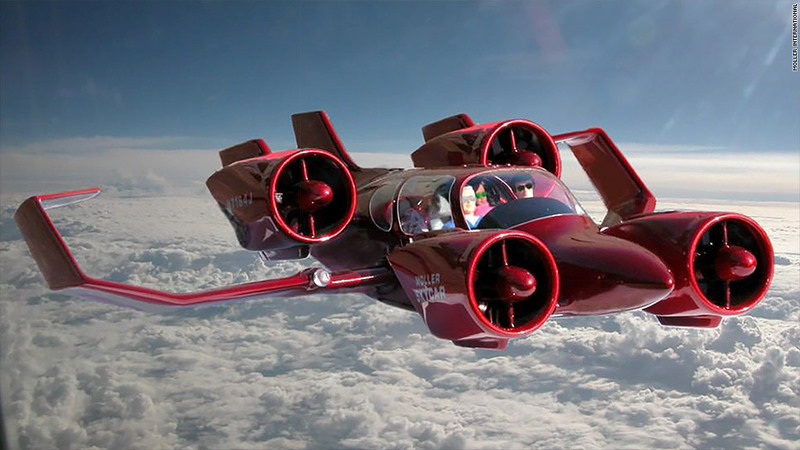 Flying cars are an even bigger challenge, and fewer people are working to make them a reality. The future can be awesome, but it'll probably take longer to arrive than it seems.